to process, investigate and review any claims made and/or paid (including historical claims). Please note that we generally record inbound and outbound telephone calls we have with you for operational and training purposes. any other party in accordance with the law. We take all reasonable steps to make sure your information is kept safe from loss, unauthorised access, modification or disclosure and/or misuse, in accordance with our obligations under the Privacy Act. We do our best to ensure that the information about you that we collect, store, use or disclose is accurate, complete and up to date. Prompt notification of any changes to your contact details will help us to do this. If we do not have your correct contact details we may not be able to provide you with important information about the policy. From time to time Southern Cross or other 'Southern Cross' branded businesses may send you marketing and other information electronically such as by email or text message. If you have provided your email address or mobile phone number we take this as your implied consent to us doing this. If you wish to withdraw your consent at any time please contact us. If the information provided to us is not accurate or complete we may not be able to process the application or claim, or it may result in us not being able to provide your pet with cover until such information is provided. The consequences of providing incomplete, false or misleading information are set out in your policy document. 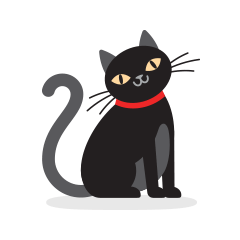 If you have any queries about the privacy of information held by us and/or our Privacy Statement, please contact us at info@southerncrosspet.co.nz. Your information is collected and held by Southern Cross Medical Care Society, Level 1, Ernst & Young Building, 2 Takutai Square, Auckland 1010.